Today I'm sharing with you the fun site The Real Thing with the Coake Family. 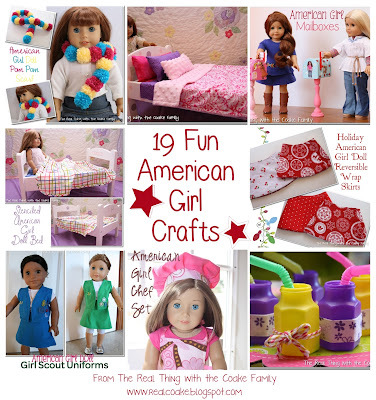 The owner of this site, KC, is so fun and so very busy! In addition to her blogging she home-schools her children which I am in awe of and very much admire. She has such an assortment of things always going on daily on her site that she shares with her readers...in addition to discovering some new and fun American Girl crafting ideas you will walk away with some cleaning tips, recipe ideas or parenting advice. It's really a nice and well rounded site that's real in addition to being inspirational. Be sure to check it out! 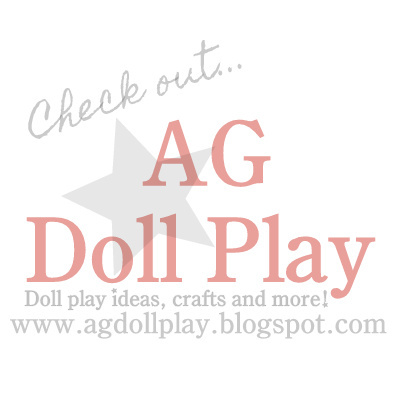 Thanks KC for supporting AG Doll Play!